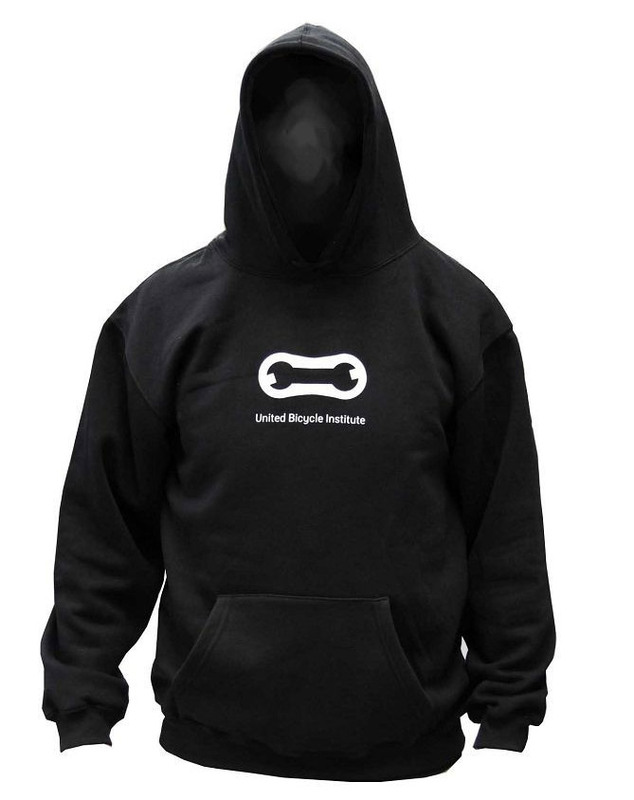 This black UBI Hoody is 80 percent cotton/20 percent poly. Great for cool mornings in the shop or lounging post-ride with a triple mochaccino. Front handwarmer kangaroo pocket. UBI logo on the front. Union made in the USA too!